The Fifteenth Amendment to the Constitution of the United States guarantees that all citizens have the right to vote without regard to their “race, color, or previous condition of servitude.” For almost a century the Fifteenth Amendment was a dead letter. Throughout the South millions of nonwhite Americans were excluded from the political process by poll taxes, literacy tests, and other devices. The landmark Voting Rights Act of 1965 sought to end that injustice. In this absorbing book, political scientist Abigail Thernstrom analyzes the radical transformation of the Voting Rights Act in the years since its passage. 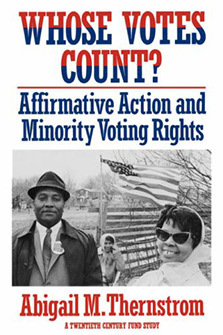 She shows how a measure carefully crafted to open the polling booths to southern blacks has evolved into a powerful tool for affirmative action in the electoral sphere--a means to promote black and Hispanic office holding by creating “safe” seats for minority candidates, What began as an effort to give minorities a fair shake has become a means of ensuring a fair share. Thernstrom demonstrates how voting rights have created a “political thicket” in which Congress, the courts, and the justice Department have been lost. Why this should be true, how small statutory changes led to large and unexpected results, how civil rights groups prevailed against a conservative Senate, how Republicans have benefited from gerrymandering to increase black office holding–these stories are all part of Thernstrom’s well-told tale. Abigail Thernstrom is the vice-chair of the U.S. Commission on Civil Rights, and an adjunct scholar at the American Enterprise Institute. She was a senior fellow at the Manhattan Institute in New York from 1993 to 2009, and a member of the Massachusetts State Board of Education for more than a decade until her third term ended in November 2006. She also serves on the board of advisors of the U.S. Election Assistance Commission. She received her Ph.D. in 1975 from the Department of Government, Harvard University. Her frequent media appearances have included Fox News Sunday, Good Morning America, and This Week with George Stephanopoulos. 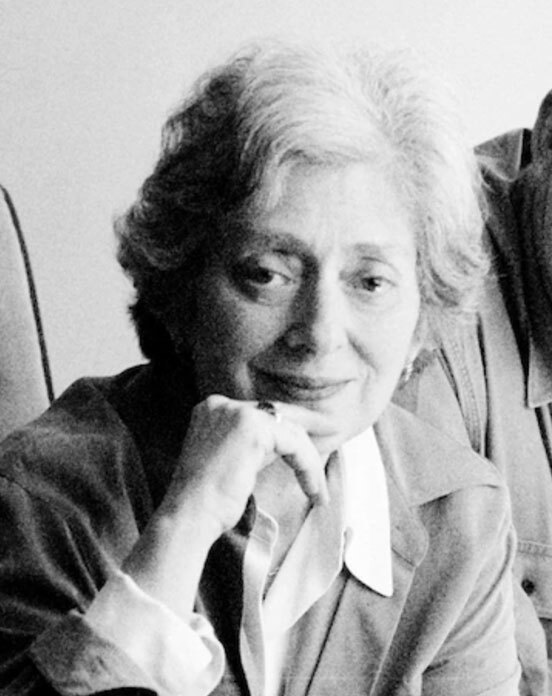 For some years, she was a stringer for The Economist, and continues to write for a variety of journals and newspapers, including the Wall Street Journal, the Los Angeles Times, the New York Times and the (London) Times Literary Supplement.